The final day of first spell of in-service course of Primary teachers of Kendriya Vidyalaya Sangathan Chandigarh Region had something special. The Morning Prayer rendered by group 2 brought in solemnity in class. All items presented in the morning assembly showed the presenters had put in an extra effort to make the day memorable one. The day was made special by the visit of Sh. J M Rawat Deputy Commissioner KendriyaVidyalayaSangathan Chandigarh Region. Participants extended a warm welcome to the visiting dignitary.Mr.MukeshPrimary teacher from KV Shimla and Mrs. RenuBalaPrimary teacher from KV 2 Chandimandirgave their expressions about the course. The course director Dr.(Mrs.) Sandhya Sharma presented a brief report on the course and encouraged them to work with zeal and enthusiasm. She appreciated the untiring efforts of the resource persons. The Deputy Commissioner was impressed with the outcome of this course displayed through the works of participating teachers. In his address he emphasized the role of a teacher, encouraged the teachers to use modern techniques, plan activities in such a way so that all round development of students is ensured and called upon all teachers to do their best for the students under their care and the organization they serve. Mrs.Anita Pathak proposed a vote of thanks. The day started with the prayer. A motivational video was shown by group-1. It was followed by the motivational lecture on VALUE EDUCATION by MS. ANITA PATHAK. After that we got refreshed by tea. After tea session Ms. Baljeetkaur addressed us on BULLYING IN SCHOOL. It was followed by the POST TEST. It was very exciting session for all. Then we enjoyed delicious lunch.Ater lunch we had an open discussion session on HOW TO DEAL WITH LATE BLOOMERS AND HIGH ACHIEVERS. Everyone participated actively in this session and all shared their ideas and experiences to deal with them in a positive way.We learnt how to deal with such children.Group work was done by the participants under the guidance of our worthy resource person Ms. Baljeet Kaur and Mrs.Neena Rani Sharma.All participants were involved in making the flowers which were displayed in the room. 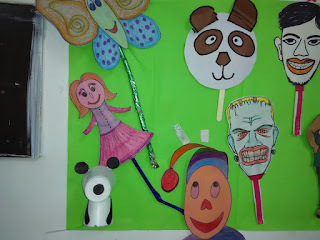 Many teaching aids were made along with masks and flash cards .Cut outs of different animals were made and displayed. Then participants wrote their own experiences about the inservice course and expressed their feelings on paper.The day ended with the refreshing tea. The day started with morning assembly which was conducted by group no.2 in a very decent manner. After assembly Mrs.Shakuntla a participantplayedan audio of Dr.Chitra .The recording was based on the tips of intake of Ayurvedic herbal medicines. After this Pathak madam took up the first session .The topic was,on improving listening and speaking skill in our teaching. She said that these two are not different but complimentary to each other.After this session we had computer session which was taken by Mrs.Kawaljeet. She cleared all the doubts regarding UBI fee submission and CCE software. Mr.Rajvinder, a participant taught about the creation of blog.After this we enjoyed tea .After tea break all the participants took active participation in decoration of the room.Then after delicious lunch Mrs.NeenaRani Sharma took up the session on handwriting .She gave very interesting and basic steps regarding, how can we guide the students and improve their handwriting. 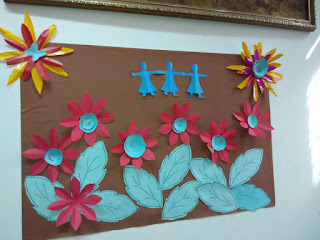 After this Mrs.SumanDhiyaread the circular regarding picture composition and also described it.At last but not the least Mrs.Baljeettold all the participants to draw something artistically and speak about their imagination. It was followed by tea and day ended on a happy note. We are indeed proud to be part of KVS, an institution which provides authentic learning experiences in a congenial atmosphere, incorporating a judicial blend of Indian tradition and modernity giving an impetus to sound character building. 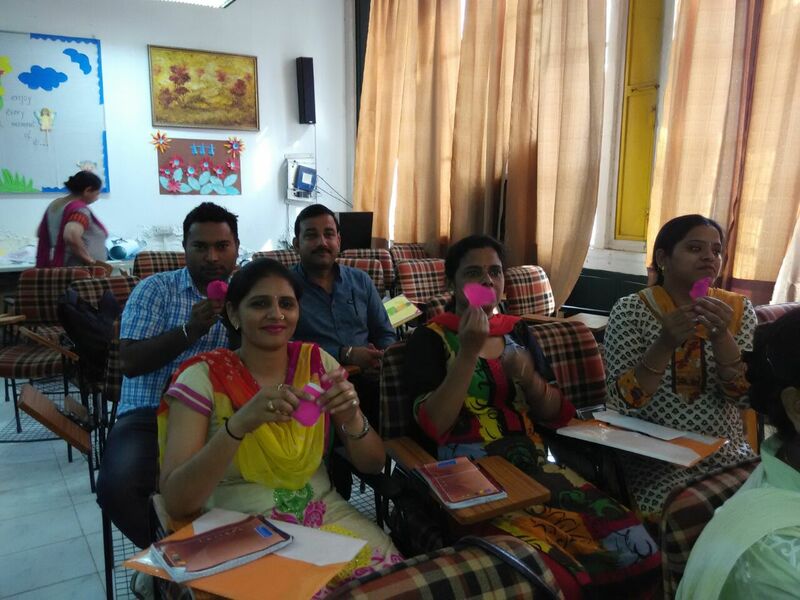 This inservice course is organized by our sangathan to update our teaching and technological skills,as we all know it is important to keep upgrading one’s knowledge. The faculty of respected course director Mrs. Dr. Sandhya Sharma and Resource persons Mrs Anita Pathak Headmistress, Mrs. Baljitkaur,PRT and Mrs. NeenaSharma,PRT left no stones unturned to implement the vision of KVS to educate, enlighten and empower us utilizing innovative pedagogical strategies and technology effectively. 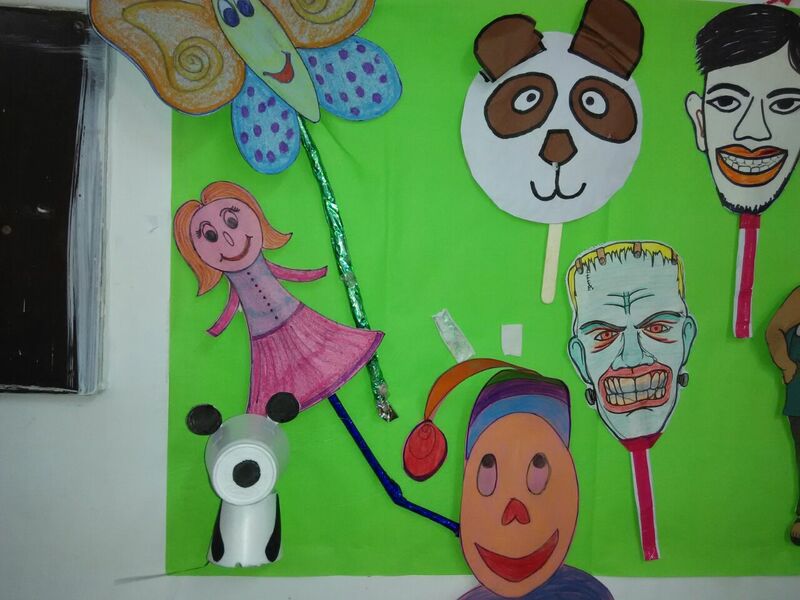 Be it aerobics session by Mrs. Anita Pathak or Yoga and Meditation by the groups or Art & Craft session by Mrs. Baljit, there was not a single moment when we felt burdened. The interactive session by worthy Assistant Commissioner Mr. Kulshreshtha on employee stress management was very effective and we learnt how we can manage our stress and improve our efficiency. 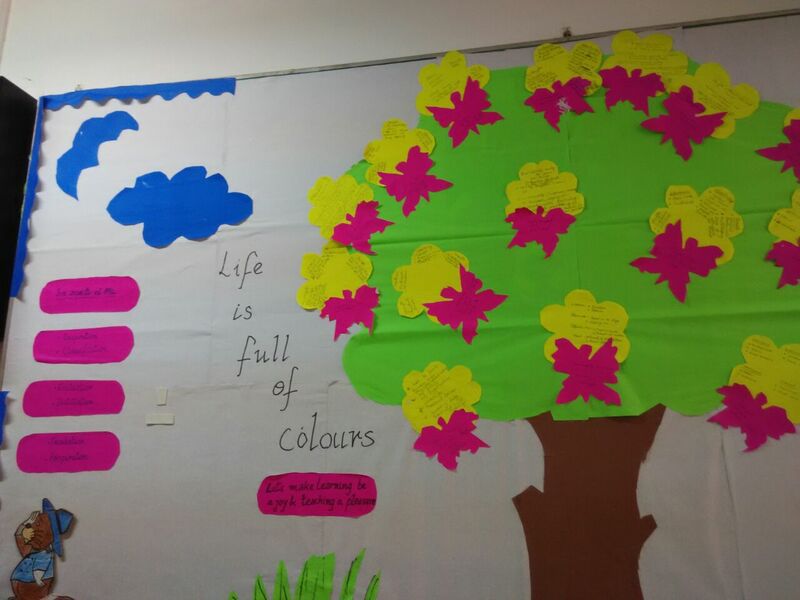 Similarly, the session of classroom management was very effectively conducted by our worthy Ex. Deputy Commissioner Mr. M.P. Mahajan. How to improve our communication skills by being exact in everything we do and by being confident was very effectively explained by our worthy Assistant Commissioner Mr. G. S. Sandhu. The various guest speakers also enlightened us on varied topics related to our professional n personal growth like CCE, Role of a Teacher in Shaping a childs personality, Service rules, Time Management, Cub & Bulbul movement, Health & Hygiene etc. They were highly effective and interesting and we got a platform to ask our queries in detail. Our worthy course director Dr. Mrs Sandhya Sharma also enlightened us on NCF 2005 and setting up of primary library and helped us to clear our doubts. Ms Aditi Sharma gave us many useful tips to live a healthy life. Our youngest at heart resource person Mrs Anita Pathak conducted very interesting sessions on Aerobics, CMP, Safety and security of children, motivation and taught us many lovely songs. Our worthy resource person MrsBaljeet also enlightened us on Gender Sensitization, Innovative projects, Inclusive education, Bullying in schools and conducted a number of interesting and useful Art and craft activities. Our worthy resource person Mrs. Neena Rani Sharma , too conducted interesting sessions on cleanliness, virtues give values to life, First Aid and how to improve our Handwriting skills. We want to be the pebble in the pond that creates the ripple for change. We thank from the core of our heart to our mentors who have put in their synchronized efforts in enlightening us on various topics with great zeal and enthusiasm. We, on our part wish to assure you that we will not let your efforts go in vain and will apply them in real life situations and do our bit in making our children intellectually, spiritually, mentally and physically strong.